Relief started spreading to the boroughs, too. Most of Brooklyn’s trendiest neighborhoods saw more than a fifth of sellers pressed to lower their asking price. 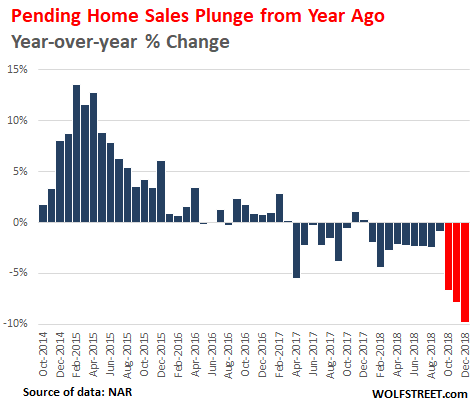 And in the pricey Hamptons, home purchases in the 4th quarter of 2018 crashed a full 35%, the biggest quarterly fall since … you guessed it, the Great Recession in 2009! This article was sourced from The Great Recession Blog.